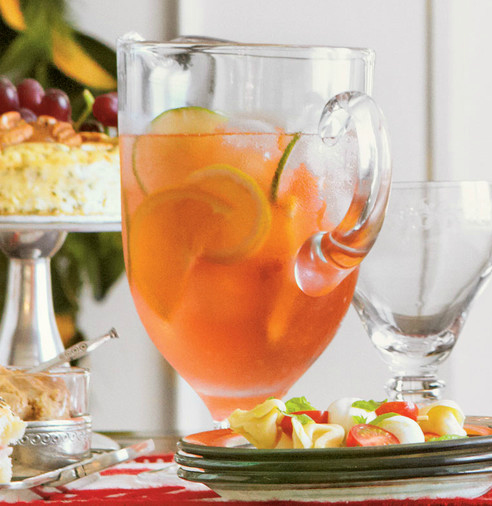 A crisp, refreshing sangria recipe with peaches, limes, oranges and lemons - perfect for summer! Clean and slice the fruit. Mix the vodka, triple sec, sugar and fruit in the bottom of a pitcher and let set until the sugar dissolves. When you’re ready to serve, add wine and soda. Serve over ice.